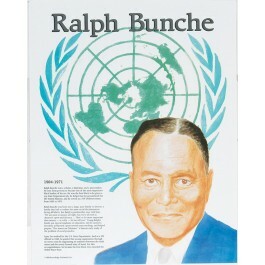 This educational poster of Ralph Bunche features a striking artist's illustration of him, as well as biographical text detailing his life and accomplishments. 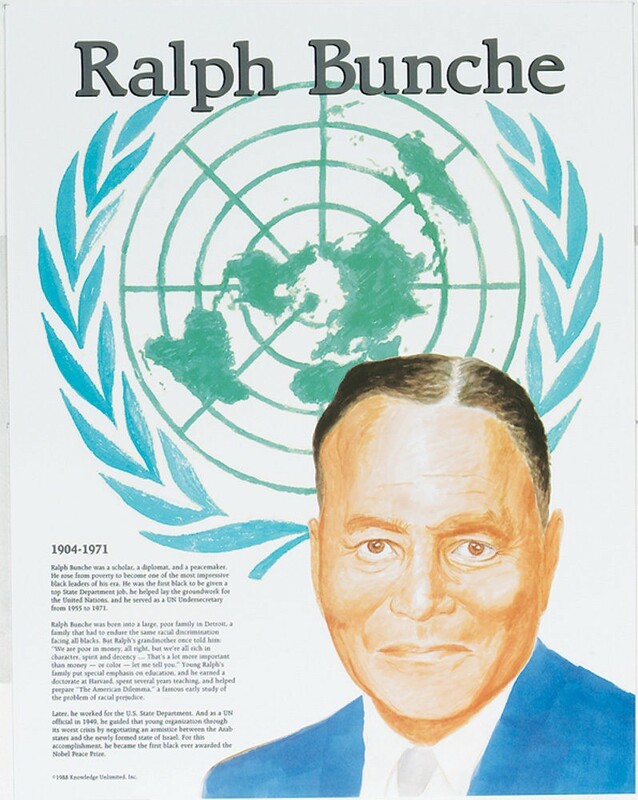 Ralph Bunche rose from poverty to become one of the most important diplomats of his time. He was the first black to be given a top State Department job, and he helped lay the groundwork for the United Nations. In 1950, he became the first African American to be awarded the Nobel Peace Prize.